Home > News > Fire Works!!! 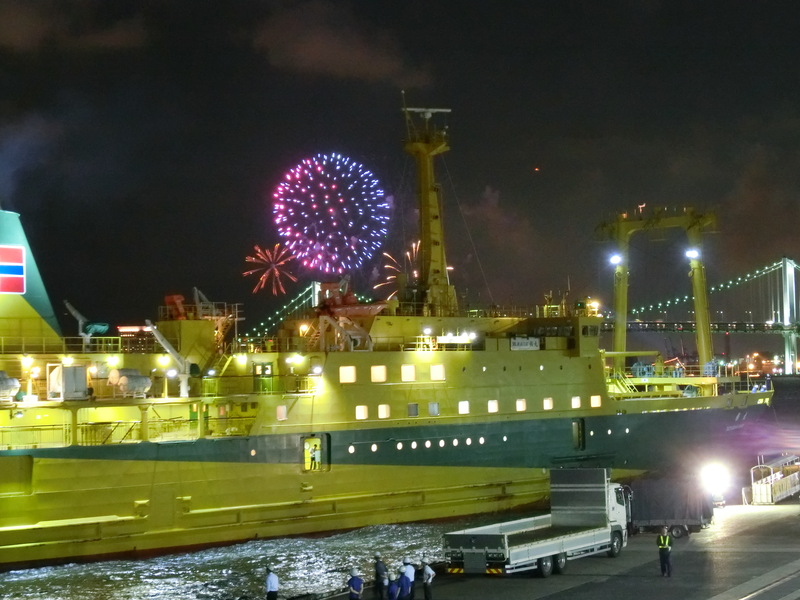 Entertainment Fire Works show “Star Island” was held at Odaiba!!! Dance show, 3D Music and Hanabi!!! We watched from Takeshiba pier, the opposite shore of Odaiba. 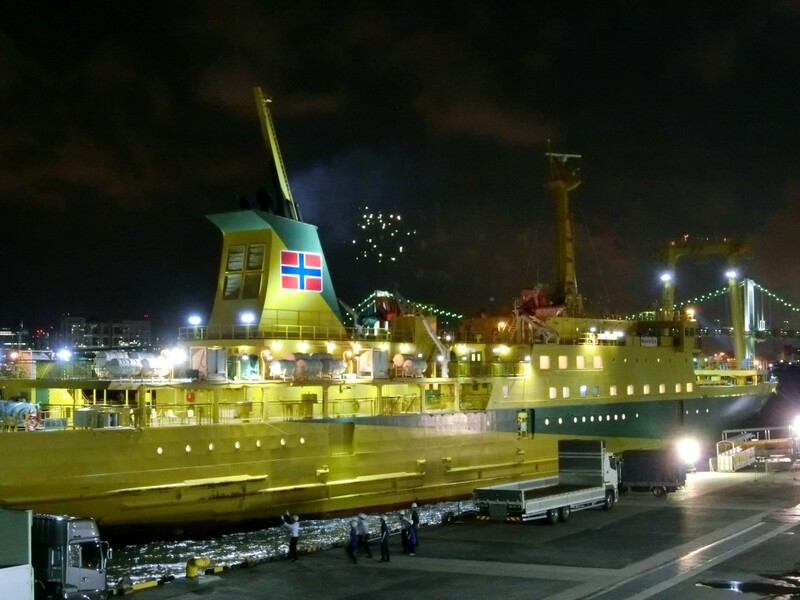 When the fire works started, this yellow ferry just arrived. But this is not bad picture! isn’t it?